This section contains samples of student work that will demonstrate evidence of positive learning experiences. This space also includes reflections on my students' learning, as well as reflections on my own learning as I continue to use critical reflexive practice in my teaching. While completing my student teaching at Edison Middle School, I taught a unit on World War II that included an interactive, student-centered group project on the war. 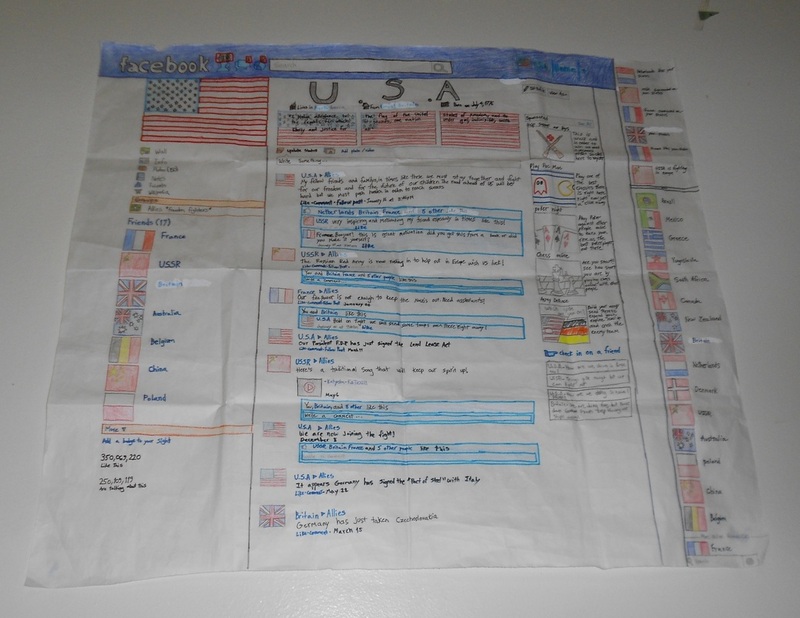 I chose to use this work sample because because the project required students to create mock Facebook pages on posters for a nation of their choice that was involved in the conflict. 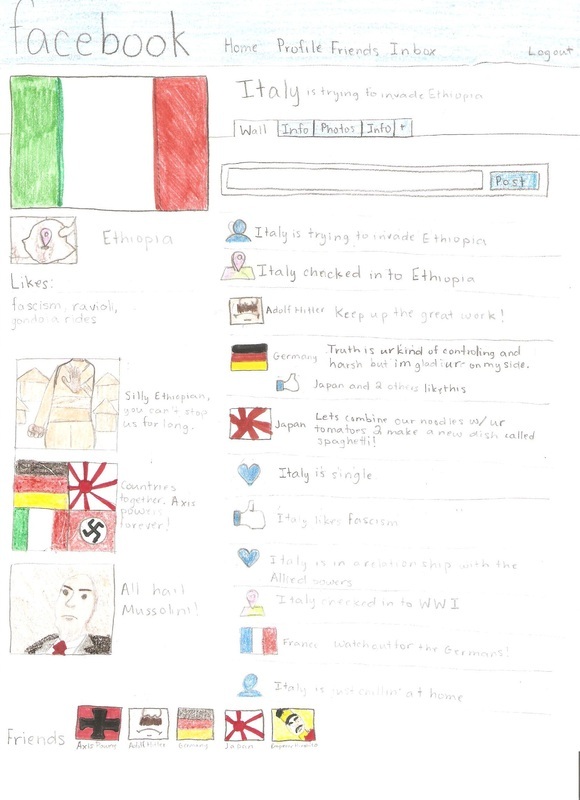 Using relevant information from the era and the war's events, students had to create pages complete with pictures, statuses, friends, posts from others, check-ins, and more. 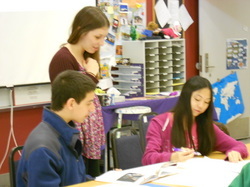 A rubric was provided to students with each of the required components outlined and multiple days in class were spent going over and working on the project with group members. 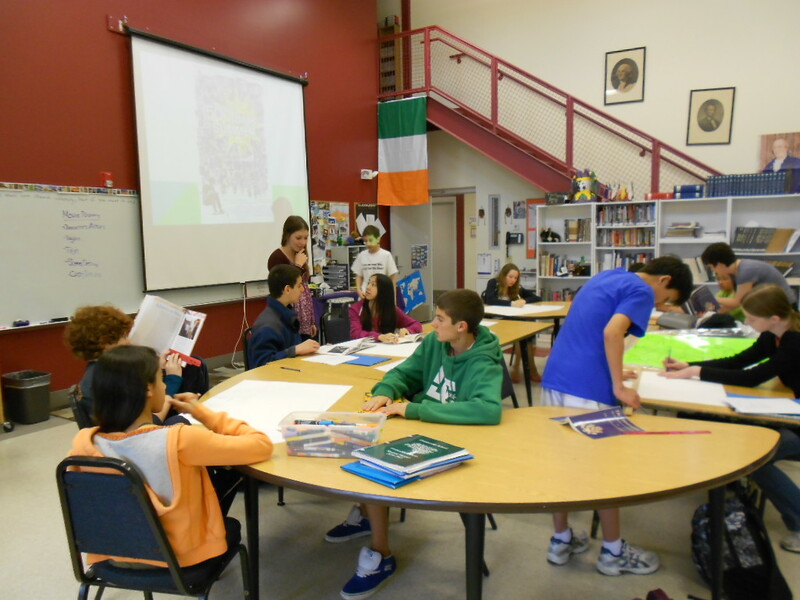 Students were instructed to uses the textbook, notes, handouts, and other resources (including electronic resources) to help them come up with content for their posters. Student learning was evident in the projects, and a plethora of new information was used effectively by students to complete their posters. 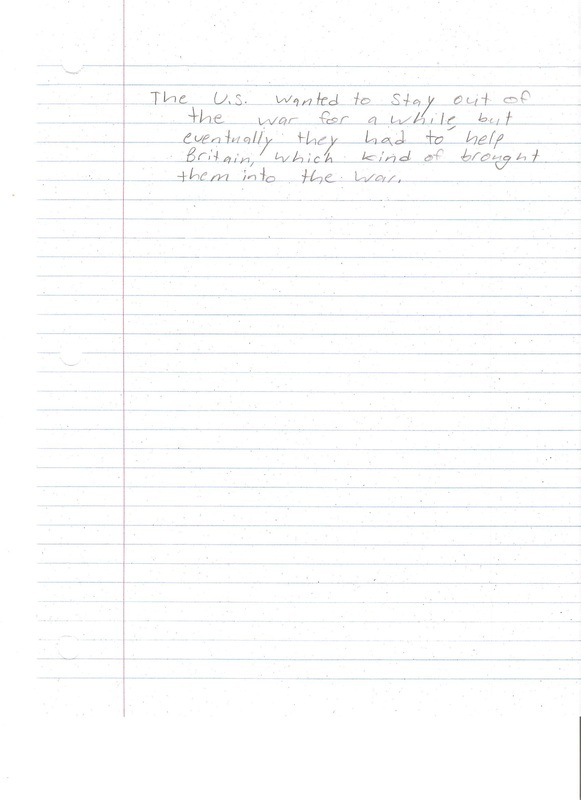 Once projects were completed, students filled out an exit slip describing what they learned about World War II. The exit slips clearly show that the objectives of the lesson on the war were met. 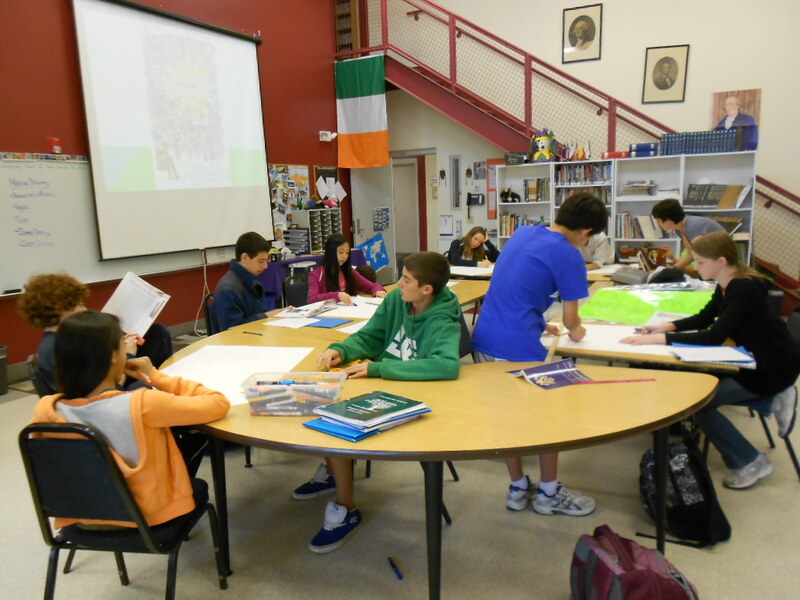 As I taught students content, facilitated their work on the project, and guided students to various resources, I wanted them to learn about each nation's role and actions during the war. 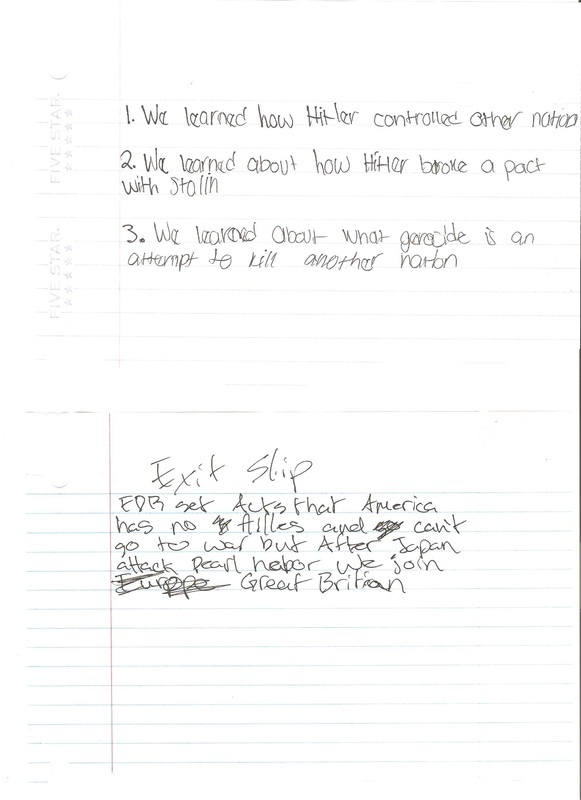 From these exit slips, it is evident that students learned about the role of the U.S and how its foreign policies changed over time, the role of other nations, as well as the actions that Germany took during the war. 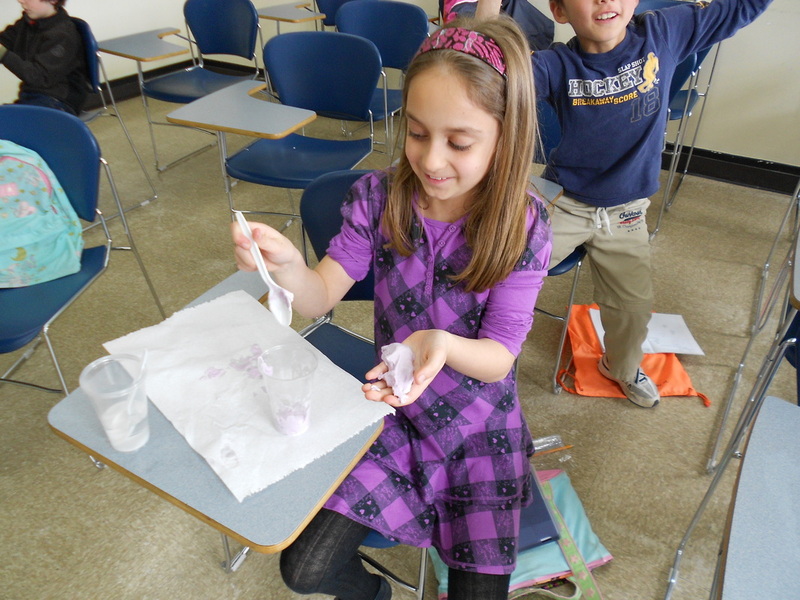 As a whole, the activities related to these work samples enhanced my ability to understand and assess student learning as I saw student learning take place and measured it in an informal way. I was able to see that students learn well when asked to apply information from one context (notes, book) to another (a project). I was also able to assess the level of this learned by having students fill out the exit slip. 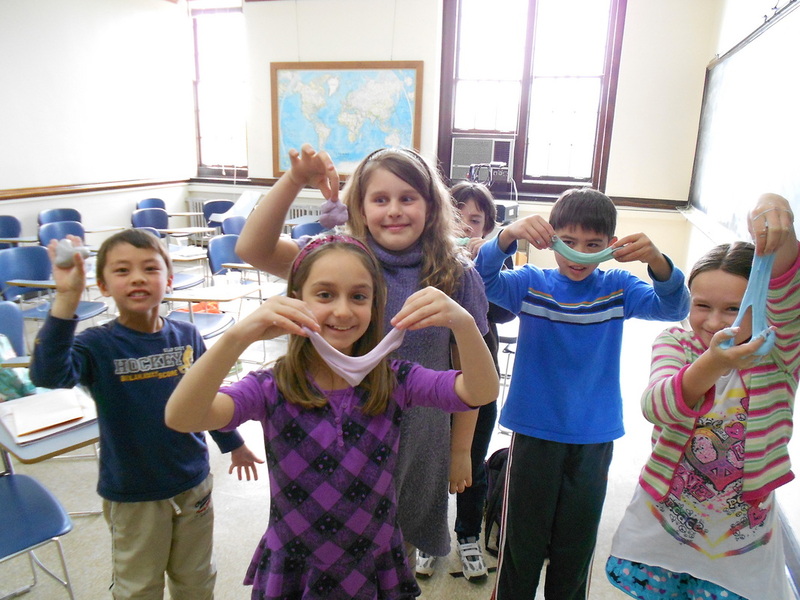 As a whole, these activities better prepared me to be an effective teacher. 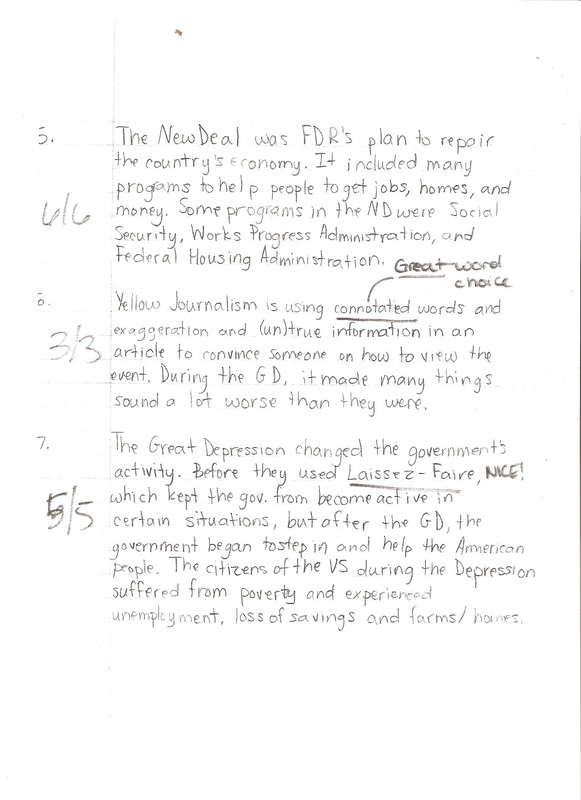 During my time at Edison Middle School, I led a unit on the Great Depression era that incorporated a lesson on yellow journalism. 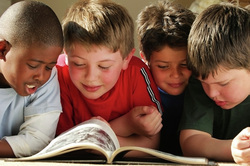 To better teach students what yellow journalism is, I created an extended assignment requiring students to write their own yellow journalism articles using a fact provided by the teacher. 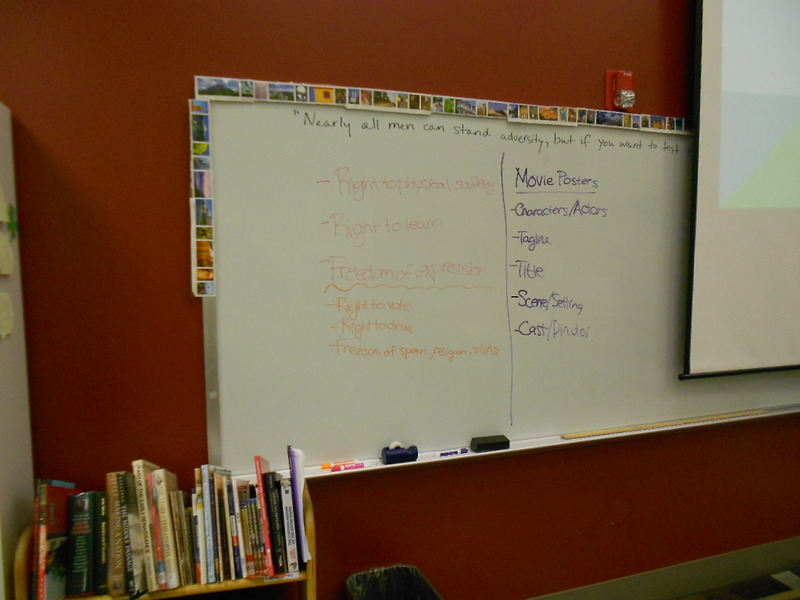 After being giving the definition of yellow journalism, students looked at examples of these kinds of articles. 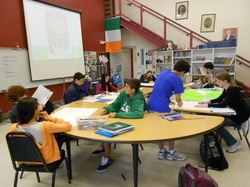 Next, the requirements of the article and the components of yellow journalism were reviewed with students. I chose this work sample to use because through the assignment I created, the students were apply to apply information about yellow journalism by generating their own articles. After creating their articles, the students took a written exam on the unit that included a question (question #6) on yellow journalism. 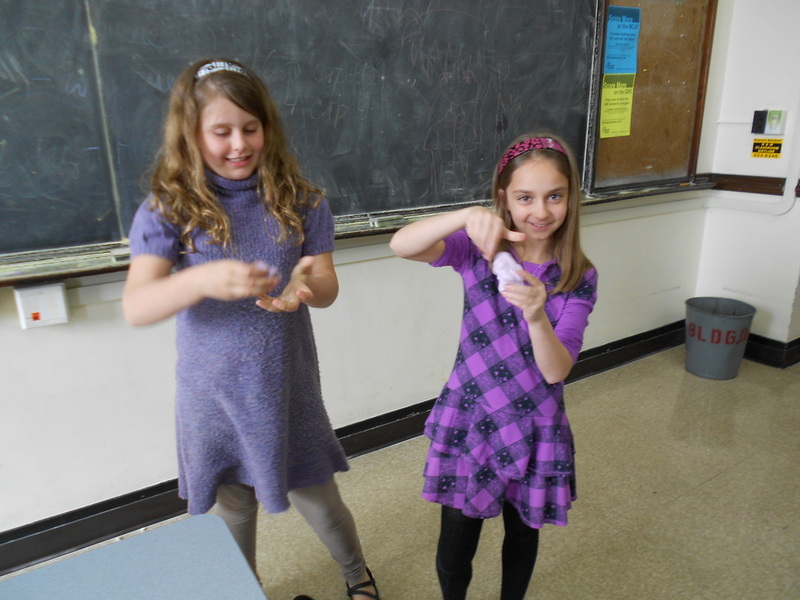 Students were able to effectively demonstrate their knowledge and learned information on the subject by using information covered in class and information from the assignment. 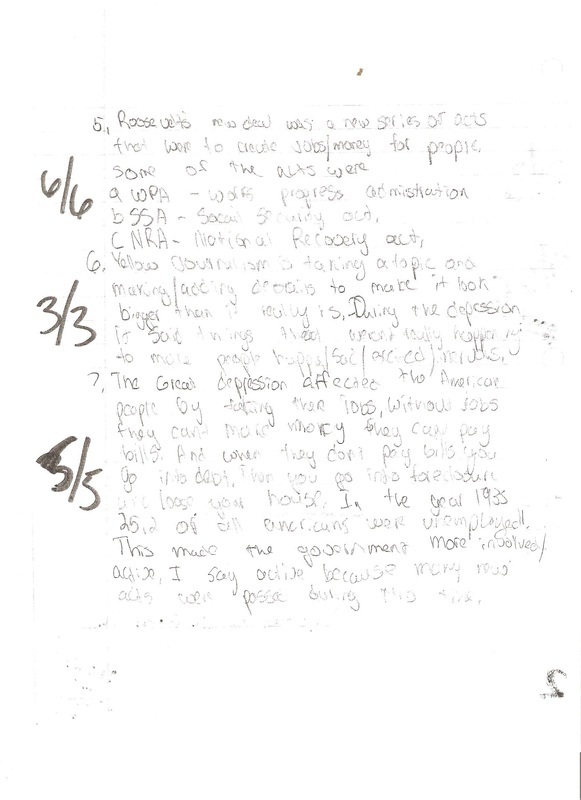 As is evident from the student responses, the learning of these students was impacted by the yellow journalism article assignment, and they were able to understand and apply information on the topic covered in class for the assignment. 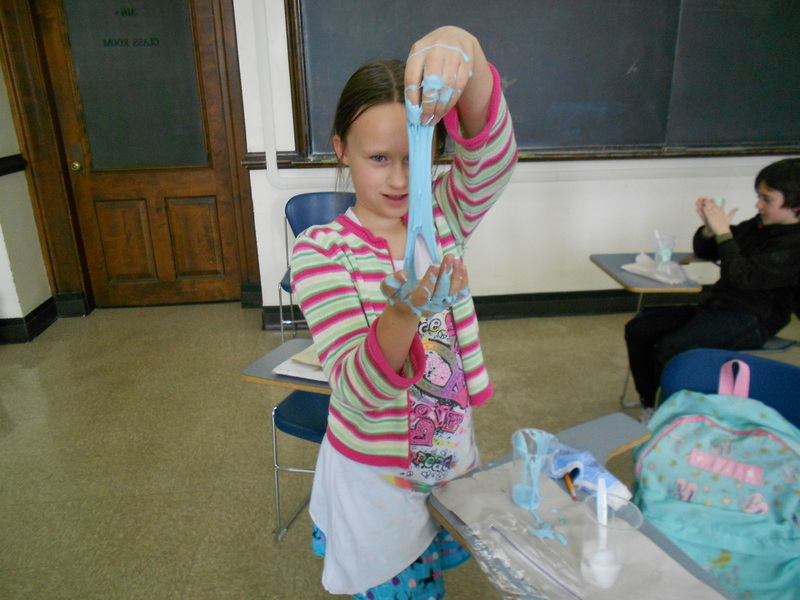 The activities relating to these work samples increased my ability to understand and measure student learning by showing me how students can learn from generating their own products and helping me find new ways to assess this learning. 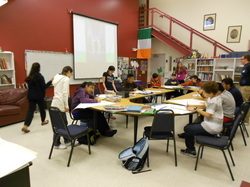 Students working on movie posters each reflecting a portrayal of one of the amendments in the Bill of Rights. Students making slime in science class at the Russian Heritage School. Student-generated responses in lesson on the Bill of Rights.